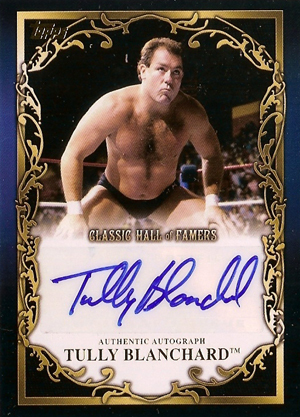 One of the highlights of every modern wrestling set, whether it's a WWE release from Topps or a TriStar TNA set, is the autographs. 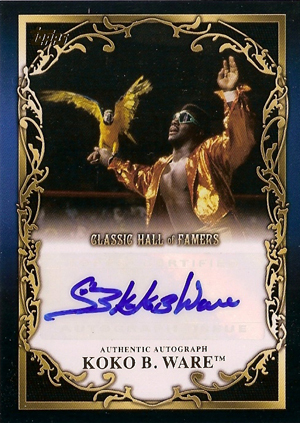 The 2012 Topps WWE autograph checklist has one of the most comprehensive, offering dedicated inserts for current superstars and personalities, Divas and Hall of Famers. 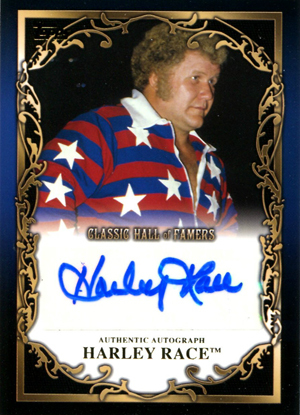 There are also four dual autographs. 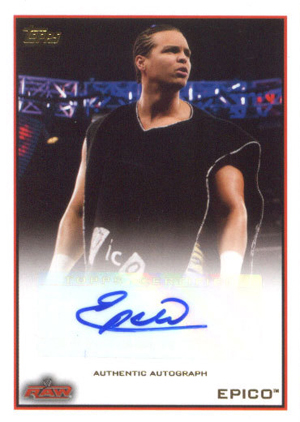 Shop for 2012 Topps WWE Autographs on eBay. 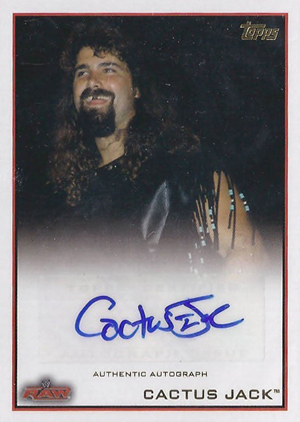 Mick Foley plays a huge part in 2012 Topps WWE. 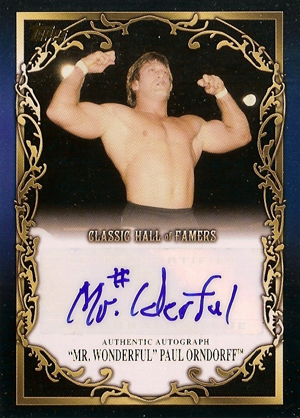 His participation began writing the backs to the base set. 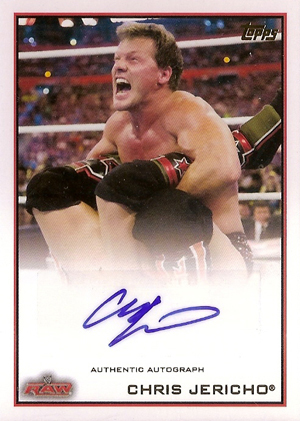 He also appears on three unannounced variation versions of his own base card. 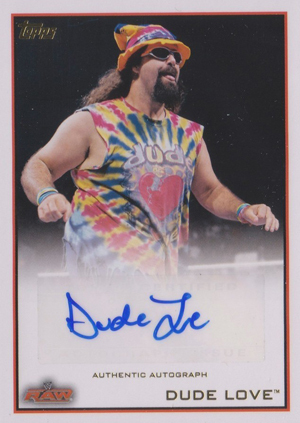 These cards spotlight Foley's various in-ring personas: Mankind, Cactus Jack and Dude Love. The variations transferred over to the autographs checklist. 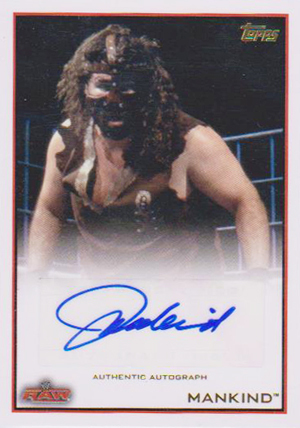 Foley has four different autographs, signing as himself and as his three characters. 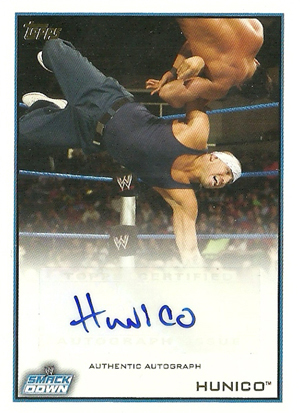 Originally, Triple H was slated to be on the list of 2012 Topps WWE autograph signers. 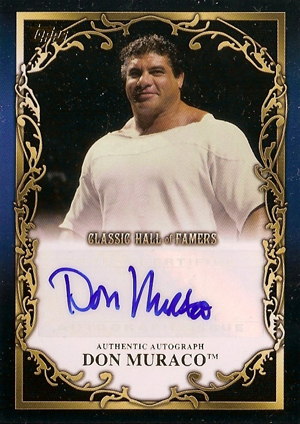 However, he was not included on the final list from Topps. 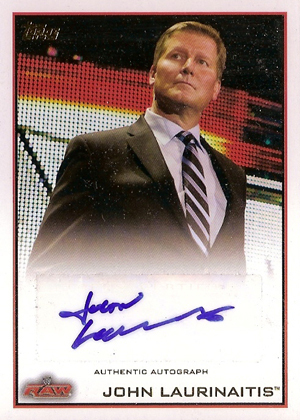 In his place is former RAW General Manager, John Laurinaitis. 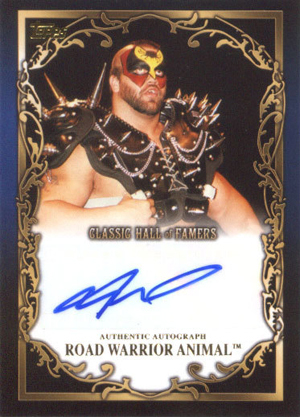 Below is a gallery of all 2012 Topps WWE Autographs. 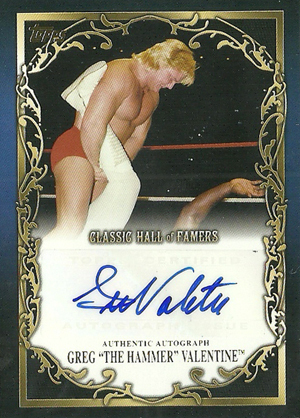 It includes cards from the Superstar, Classic Hall of Famers, Divas Class of 2012 and Dual Autograph sets. 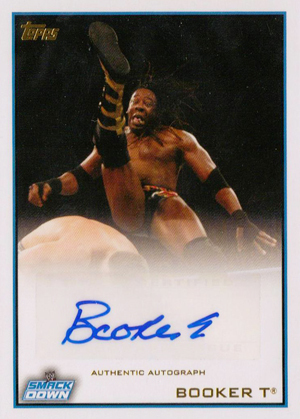 A Kaitlyn and Maxine dual autograph will be added when an image becomes available.